National Institute on Aging, Baltimore, MD. 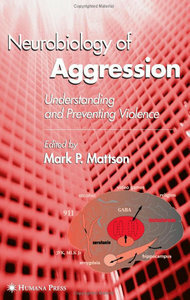 Text presents information on the different aspects of aggressive and violent behavior from its neurobiological roots. Examines how family environment, religion, and substance abuse affect violent behaviors. Focuses on neurochemistry, genetics, behavioral science, and cultural studies. For researchers and physicians.